8/23/18 - Two days left to sign up for the Scrapstashtic Lecture this Saturday! Organize your scrap fabric stash and actually use it! 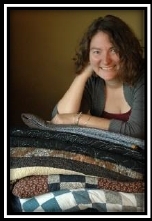 Janellea will explain how you can change your relationship with your fabric stash and become a more creative quilter. This lecture is for the creative quilter who knows and appreciates the value of every inch of fabric, but values the organization and order of their sewing room even more. Learn the Scrapstashtic System during the lecture/trunk show and take your scrap quilting to the next level! To read more about Janellea, please click HERE to view the bio page on her website. A shop coupon, redeemable on August 25th only, will be distributed to all lecture attendees. To register, simply call the shop at (610)900-4700 or click HERE to register online. Start your Winter quilt early so you'll be ready to sit in front of the TV with your cup of hot chocolate and be warm! The quilt shown above was created with fabrics from our new Winter Wonderland collection, which can be viewed on our website by clickingHERE. Kits with pattern will be available soon. 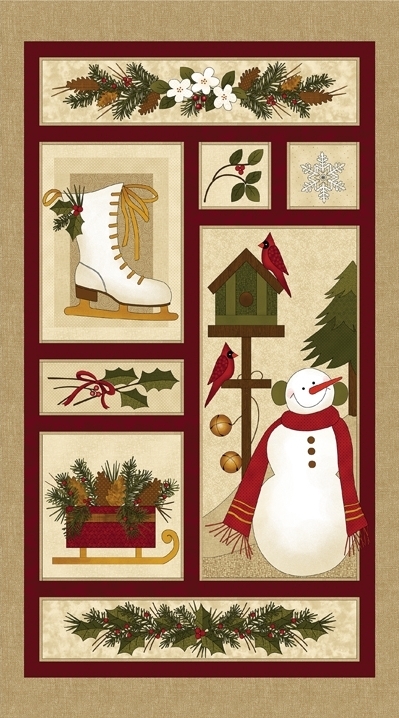 The panel shown above can be finished with a border of your choice or incorporated into a quilt using the coordinating Winter Wonderland fabrics. Make this great looking Quilter’s Tote using our “A Stitch in Time” fabric! The tote, which measures 15 ½ “ x 7 ½ “ x 12 ½ “ , has two pockets as well as a bottom insert for support. The class supply list will be provided at time of registration. Pat Piasecki, purse maker extraordinaire, will be teaching you how to create a purse base and reversible covers to match different outfits or occasions. Interchange them without having to empty your purse! NOTE: This class will be held in two sessions two weeks apart. Class Fee shown below is for BOTH sessions. In class session #1, you will make the basic purse (~10” x 12”) with a zipper closure, 2 pockets, a boxed bottom and straps with 4 swivel clasps. In class session #2, you will make the reversible and interchangeable button-on cover. You can be creative and embellish the cover with beads or embroidery. Additional covers can be made with a variety of fabrics for any occasion. To register, simply call the shop at (610)900-4700 or click the picture above to sign up online. Make either a crib or lap size quilt from start to finish! 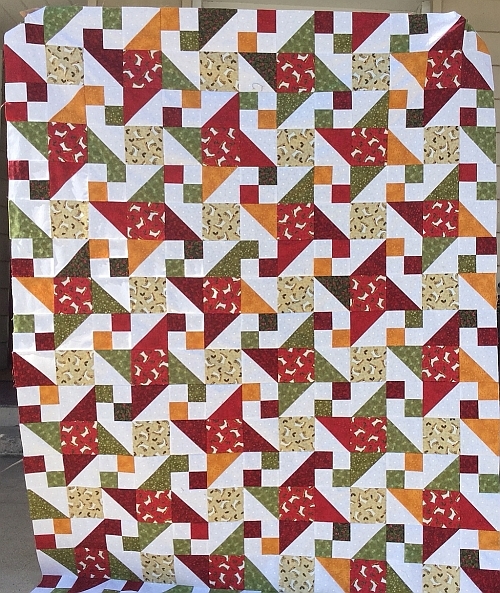 This 8 week class will introduce you to quilting by machine and rotary cutting. You will learn tips and tricks, beginning with choosing fabrics, to make your quilting journey a successful one. You must be comfortable with your sewing machine to take this class. You will also need a ¼ inch foot for your sewing machine before the second class. We will be covering rotary cutting, so you will need a cutting mat, rotary cutter and rulers for the first class. You have the option of making either a baby quilt or a lap size quilt using 4 colors of your choice. Although you do not need to purchase your fabric from The Quilted Crow, we do require that all fabrics be quilt grade fabric. A supply list will be provided upon class registration. Class size is limited, so sign up early! Class hours are 10:30am - 12:30pm. To register, simply call the shop at (610)900-4700 or click either link below to register online. To sign up for the FRIDAY classes, click HERE. To sign up for the SATURDAY classes, click HERE. Also coming in September: Intermediate Quilting sessions for graduates of the Beginning Quilting class are being prepared now, watch this space for details! Now is the time to get those scissors sharpened so you'll be ready for your fall projects! How it works: Steve Hansut will be picking up scissors at the shop on Fridays and dropping them off on Friday of the following week. Scissors must be dropped off at the shop by 5pm on Fridays. Passports are on sale now for only $5! Each Passport includes a tote bag, the Passport book itself which contains valuable coupons for each participating shop and the fabric for the Free Block shown below. 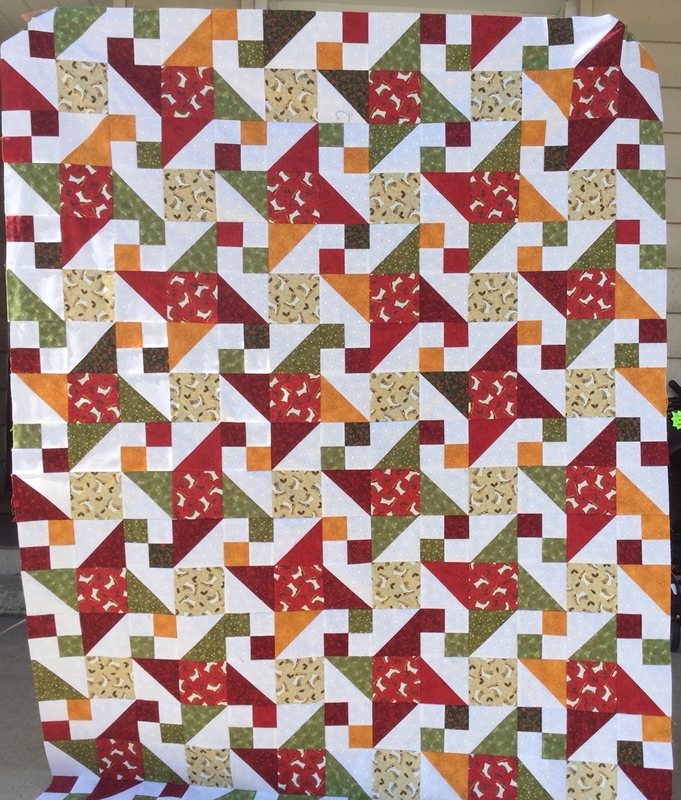 The Quilted Crow is once again participating in the Row by Row event and our 2018 row shown above is entitled "Sew Jazzy." Free patterns are available in the shop now (1 per customer) and kits are available for $9.50. To view a printable list of participating shops in Pennsylvania, please click HERE. Also, you can click HERE to visit the PA Row by Row Facebook Page which shows the submitted rows from participating shops. Finally, for more information about Row by Row, you can visit the official event page by clicking HERE. Crow Sew - The next scheduled meeting at the Crow will be on Wednesday, August 29th, 2018 at 10am. Sewcial Guild - The next scheduled meeting will be on Thursday, September 27th, 2018 at 11am. The guild meets in the upper floor Gallery of the Palmerton Library, across the street from the Shop. Elevator access to the upper floor is available.